It would be wonderful if every dog owner could work from home or bring their pet to the office, but more often than not man’s best friend is left alone for hours on end while his owner is at work. Also, the last thing you want to worry about when you’re running errands or out with your pals for a long evening is that your dog is unhappy or, worse, unsafe back at home. Here’s how to keep your dog cheerful even when you can’t be there as his companion. Practice a “leave and return” scenario. The better trained your dog is, the happier and more at ease he’ll be when you leave for the day. From the second you get your dog, you should start practicing a “leave and return” scenario with him. Act as though you’re leaving the house. Grab your bag and put your shoes and jacket on. You want your dog to know you’ll ignore him even if he starts to panic. This is going to make you feel like a bad pet owner, but the goal is to help your dog. The point of this exercise is to eventually get them comfortable with you leaving. Repeat this 3 times per day. Pro Tip: When you do actually leave the house, don’t say “goodbye” to your dog. If you leave without a production, your dog won’t be as anxious about it. When you arrive home from being out, don’t excitedly greet your dog at the door. 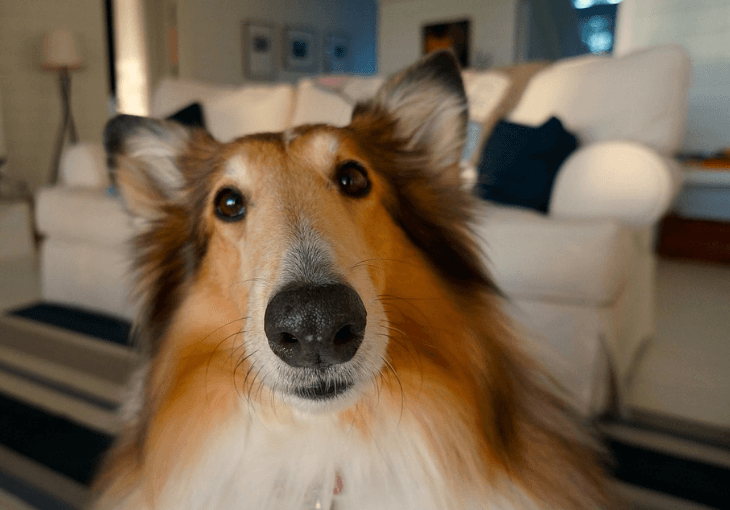 It’s natural to want to give your dog a big welcome, but this tells your dog that your return home is a huge, special event. Once you’re in the house, have your dog lay in his bed. When he’s calm, you can go over to him to say hello. You don’t want to learn the hard way that your home has harmful items exposed to your dog or that your normally sweet pup destroyed a family heirloom. Solve the problem before it even occurs by getting rid of clutter. 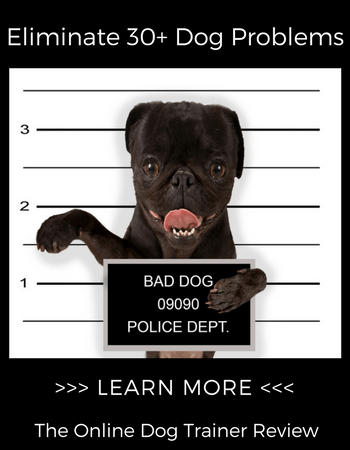 Look around your home for dangerous items your dog could get into, like cleaning materials, electrical cords, and food. At the same time, consider things like clothing, decor, and furniture that he could destroy while you’re gone. Hide dangerous items that could harm your dog. For example, put a utility cabinet in your garage, where your dog doesn’t have access to, and keep cleaning supplies there. For electrical cords, use command hooks to keep them flush against the wall where your dog won’t even notice them. As you do some redecorating to make sure your favorite items aren’t reachable by your dog, take the opportunity to pack some away. Rotate items seasonally so you have your favorite decor year-round without it cluttering the space. Don’t bring new items into the home! There’s no point in getting rid of clutter if you’re just going to add new clutter. No matter how cleverly you think you stored your cleaning supplies, your dog may still find his way to them. If this happens, you’ll want to know he’ll be safe and sound. Replace your toxic household cleaners with non-toxic alternatives. There are several DIY recipes for healthy household cleaners out there, just in case your furry friend decides to go in for a taste. For example, you can make your own all-purpose cleaner by combining three teaspoons of castile soap (olive oil and sodium hydroxide), an essential oil like cinnamon or lemon, and two cups of water. You can also throw out your drain cleaner and use this cleaning hack instead: pour a tablespoon of baking soda down the drain, then follow it with one-third cup of white vinegar. Let it sit for a bit, then pour a pot of boiling water down the drain. Plan for someone to walk him. Even though your dog may be able to stay home alone for several hours on end, that doesn’t necessarily mean it’s healthy for them. When you return, everything may seem in order, but your dog may be stressed while you’re gone. Your adult dog shouldn’t be alone for more than 10 hours at a time. Since they shouldn’t go more than six hours max (four is preferred) without being walked. Therefore, plan for someone to stop by, walk the dog, and maybe visit for a few extra minutes. Puppies shouldn’t be alone for more than two hours a day at the most, if they’re left alone at all. 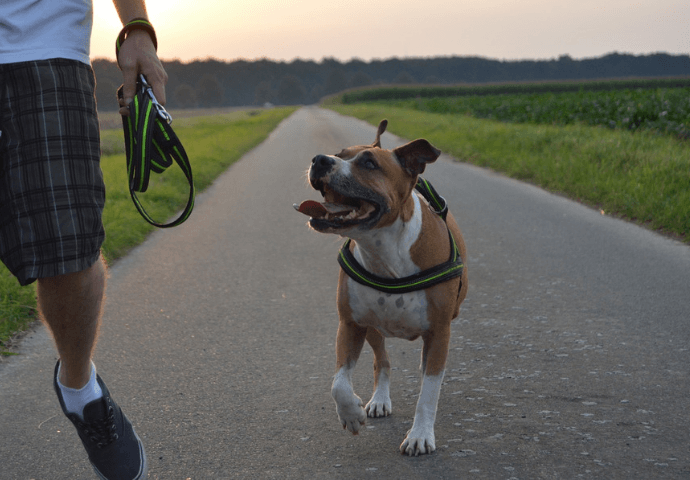 For adult dogs, two hours may be the limit as well, particularly if they have health issues and need to be walked frequently. Leave him with an interactive toy. Give your dog a toy that dispenses food or treats. 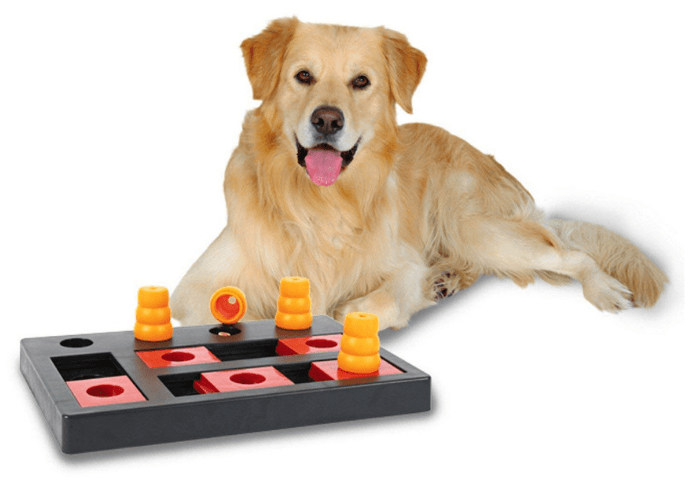 You can find food-dispensing toys with different levels of difficulty so that it keeps your dog busy for a while without over-frustrating him. For example, the Trixie Flip Board has different training levels and lets your dog snag his favorite treats when he figures out how to open the compartments. If your dog prefers his good ol’ dog bowl, you can find other types of interactive toys to keep him busy. For example, the Babble Ball is motion-activated and makes different animal sounds as your dog plays with it, while the iFetch ball launcher plays catch with your dog until he tires out. Pro Tip: Don’t leave a toy that your dog can pull apart and eat. If you’re not sure how they’ll react to a new toy, have them play with it several times when you’re home so you can keep an eye on their behavior. When your dog is active and engaged, he’ll focus less on the fact that you’re not home. For more information on creating a healthy, happy home for your dog, check out our advice about eliminating dog-related clutter.